Perhaps the greatest mutual fund manager of all-time, Lynch guided Fidelity Investment's Magellan Fund to a 29.2 percent average annual return from 1977 until his retirement in 1990, almost doubling the S&P 500's 15.8 percent yearly return over that time. Lynch's common sense approach and quick wit made him one of the most quoted investors on Wall Street. ("Go for a business that any idiot can run -- because sooner or later, any idiot probably is going to run it," is one of his many pearls of wisdom.) Lynch's bestseller One Up on Wall Street is something of a "stocks for the everyman/everywoman", breaking his approach down into easy-to-understand concepts. Since 2010, this portfolio has returned 6.7%, underperforming the market by 33.2%. 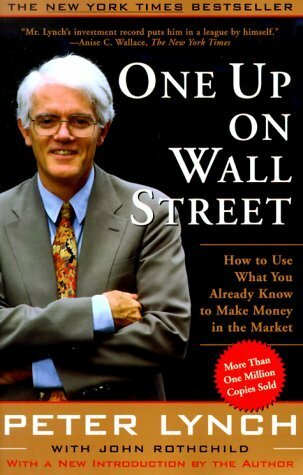 Validea used the investment strategy outlined in the book One Up On Wall Street written by Peter Lynch to create our P/E/Growth Investor portfolio. Lynch's approach centers on a variable that he is famous for developing: The price/earnings/growth ratio, or "PEG". The PEG divides a stock's price/earnings ratio by its historic growth rate to find growth stocks selling on the cheap. Lynch's rationale: The faster a firm is growing, the higher the P/E multiple you should be willing to pay for its stock. Lynch is known for saying that investors can get a leg up on Wall Street by "buying what they know", but that's really just a starting point for him; his strategy goes far beyond investing in a restaurant chain you like or a retailer whose clothes you buy. Along with the PEG, he focused on fundamental variables like the debt/equity ratio, earnings per share growth rate, inventory/sales ratio, and free cash flow. It's important to note that Lynch used different criteria for different categories of stocks, with the three main categories being "fast-growers" (stocks with EPS growth rates of at least 20 percent per year); "stalwarts" (stocks with growth rates between 10 and 20 percent and multi-billion-dollar sales); and "slow-growers" (those with single-digit growth rates and high dividend payouts). He also used special criteria for financial stocks.